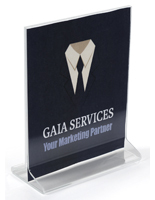 This Picture Frame Is A Great Low-Cost Frame! 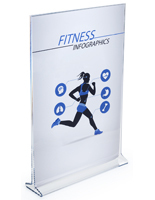 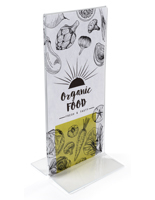 This Picture Frame Has An Open Top Design To Make Changing Displays Easy! 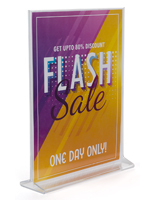 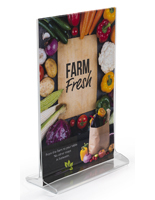 Picture Frame: 4" x 9"
Discount Picture Frame - An perfect table or counter display for any restaurant, hotel or point of purchase display needs. 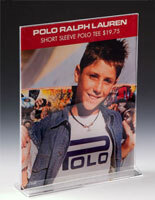 4" wide x 9" high top loading vertical picture frame. 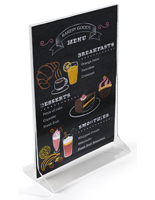 Paper slips in effortlessly through the top and sides.